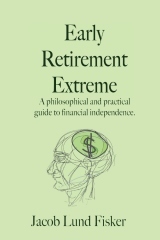 I mainly read to get original insights for early retirement so as a result I don’t read a whole lot of pf-blogs(*). Still I do read a few blogs. These are listed in my blog roll (lower right sidebar) and introducing them has been long overdue. 350 – A global warming site focusing on CO2 emissions. It is 90% likely that human CO2 emissions is the main driver of global warming. GW will have an increasingly greater impact on our so far sheltered way of life as time moves on, hence this is important. Barel Karsan – is a value investing blog that shows you how it is done. They mostly look at small caps which is where the action is at if you’re an individual investor and not a pension fund. Causabon’s book – This is one of those, “I wish I had written this”-sites focusing on adapting in place and teaching skills most of us have forgotten. Daily Speculations – The thing I love about this site is the abundance of lateral thinking and introductions of subjects I did not even know about. It focuses on applying different models to trading. I read it for the models. Canadian Dream: Free at 45 – Tim writes about a more moderate and reasonable/sensible path to early retirement with a normal and green lifestyle. Frugal Bachelor – Travels the world and gets laid a lot. Personal finance without family values. Also very funny! My Frugal Freedom – Getting paid from rental income while living in an RV in the back yard. Yet another way to retire early. Millionaire Mommy Next Door – A millionaire and also a mommy, but not next door (I checked). Focusing on acquiring the right mindset and attitude for achieving your dreams. Retire at 40 – New blogger on the blog. Early retirement retirement planning at its early stages. Good to follow if you are just starting on your way to early retirement. The Simple Dollar – Mainstream personal finance, but so very well written, and a lot of it too. Blog roll policy: I think networks are on the whole much more effective when everybody doesn’t link to everybody else as this corresponds to no structure at all. Therefore I do not engage in link love/exchanges and I try to keep my blog roll short and manageable. next post: With record oil prices is it time to buy winter clothes? 8 users responded in " My blog roll at the end of 2008 "
I like that interesting statement of “It is 90% likely that human CO2 emissions [are] the main driver of global warming.” . . . If that were true than as CO2 increased, then always temperature would as well (being the main driver). That is not the case. An interesting translation of that first statement is “We are somewhat sure that it could be that humans contribute to warming of the earth, as long as our funding to prove it doesn’t dry up”. Though if it were stated like that people would hardly keep pouring money their way. @Traciatim – The statement is true in the scientific sense, which means theories and models have been formulated based on observed facts and have been shown to be coherent with other facts. If you consider the reports that come out every 5+ years they are if anything a bit on the conservative side e.g. every new assessment shows that things are going worse than projected. To split the statement up ..
1) CO2 is the most significant driver of global warming. This is basically physics and involves radiative transfer codes to solve the radiation balance in the atmosphere. 2) It is 90% likely that the rise in CO2 levels is due to humans. Arriving at this number requires a complex modeling of carbon sinks and sources (oceans, vegetation,…) and how it responds to perturbations. You backtest these against the data from ice cores to verify the model and then you project it forward. There is no simple linear relationship between temperature and CO2 levels. Higher CO2 levels force a higher temperature, but a higher temperatures decrease CO2 levels (through increased vegetation) for a while. However, if the temperature gets too high, this CO2 will be released again, and so on. I translate it this way: The (planetary) doctor is telling me that I’m sick (this is a virtual certainty, 99%) and that it is 90% likely that it is my personal behavior that is causing it. My doctor may have some personal interest in running further tests, but I think his interest in running further tests pales in comparison to mine in terms of changing my behavior and going for the treatment option. Thanks for the link. You’ve got a few blogs on there that I read already but I’m going to check out the others that I haven’t yet subscribed to. That’s the best policy. If you exchange with everyone who asks, you’ll have a blogroll of 700 people. It just gets out of hand. I also have a small blogroll but as stupid as it may sound I have never formally exchanged links. I have added blogs that I honestly enjoy reading on a daily basis to my roll.The sad part is that most (actually I think all) of these bloggers have not added me to their blogroll. Oh well that won’t stop me from reading their blogs. @Studenomics – I follow the same strategy. I don’t think I have many of those pointing back to me either. Maybe my own fault since I like to change up my blog roll every so often. I find Traciatim and people with the same viewpoint fascinating. It’s pretty clear all of our cars, planes, etc…heck, our lifestyle in general are not that kind to Mother Earth. Why is it such a bad thing to want to decrease CO2, recycle, build with sustainable materials, etc.? I find it fascinating that people with an open mind are criticized for it. There are enough prominant scientists in disagreement to cast doubt. I have worked with enough numerical models to know there are a lot of knobs to turn, and you can make them say virtually whatever you want. I’m not convinced 100% either way. But then again I never believed in Santa Claus or Jesus either.